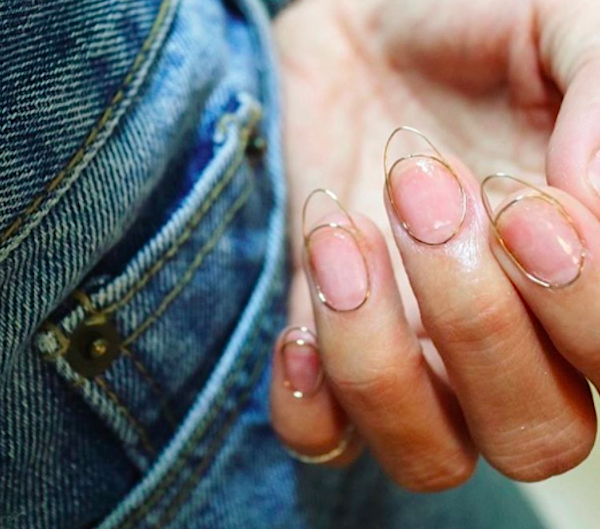 Every time we think we’ve seen it all when it comes to nail art, a trend comes along to blow our minds, and this time it’s wire nails. It’s definitely fascinating! We’ve seen people with furry nails, water inside nail tips so it looks like tiny aquariums, and even baby scorpions on each digit. This one falls somewhere on the cool-but-creepy scale. It’s definitely a high fashion editorial look, with each nail looking like a piece of jewelry. The wire is gold, so it won’t set off a metal detector, thank goodness. When you make neon signs, you have to bend the wires to make certain lettering...it's one long wire that's bent to create and connect the letters. I thought this was really cool and since nails are an accessory, I wanted it to be used for expression. Like rings." We have to admit, that’s pretty cool. If it’s possible to put actual neon lights on a nail, we’re sure Park will find a way! What do you think? Are you ready to get wired?